Ception is a psychedelic soundscape adventurer living in the Jura Mountains of Switzerland. 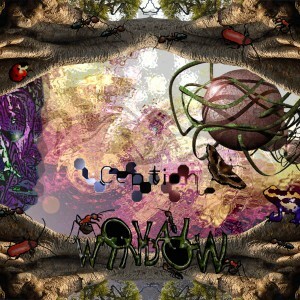 Today he is very proud to present his debut release, Oval Window! His music will send you on a journey, passing through many different states of psychedelia as the wild sound effects and rollicking bass lines work their magic. Download it and enjoy an intense and colorful trip! Mastered at Wild Mastering with artwork by Neferet Art. MP3 Download | FLAC Download | WAV Download · Download count: 5,768.
delicious work, especially for a debut release! pretty interesting piece of music, I would say, quite grotesque! I collect taciturn frogs! never an argument. maybe the best full on so far this year! Ception evolved to “Hopteca”, this my new artist name. Sounds like the good old tracks from P.Tale!